Home » DriveSmart: Exit not required, you can stay an “N” drivers forever! Does a novice driver have to take the test to become a fully licensed class 5 driver? While there is a limited time that a novice must remain in the Graduated Licensing Program there is currently no limit on the other end of the scale. “N” drivers forever! Of course, remaining a novice driver comes at a cost. You must abide by all of the restrictions listed on the back of your licence. 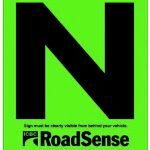 Being a novice means displaying an N sign prominently on the rear of any vehicle that you drive. This includes vehicles that you drive for work purposes, even if they are owned by the company you work for. Cell phones, hands free or not, are forbidden for you to use. Ditto the GPS whether it is on your cell phone or part of the vehicle dashboard. The rules regarding impairing substances have changed recently. In addition to having a zero blood alcohol level when driving, a novice must not have cocaine or tetrahydrocannabinol (THC) in their body either. The Draeger Drugtest 5000 is approved for roadside screening to determine whether the driver is under the influence of marihuana or cocaine while driving or not. There are passenger restrictions too. Novices may only carry one passenger. This restriction does not apply if the passengers are family members or the novice is accompanied by a properly licensed supervisor who is at least 25 years old and is not a learner or novice driver. 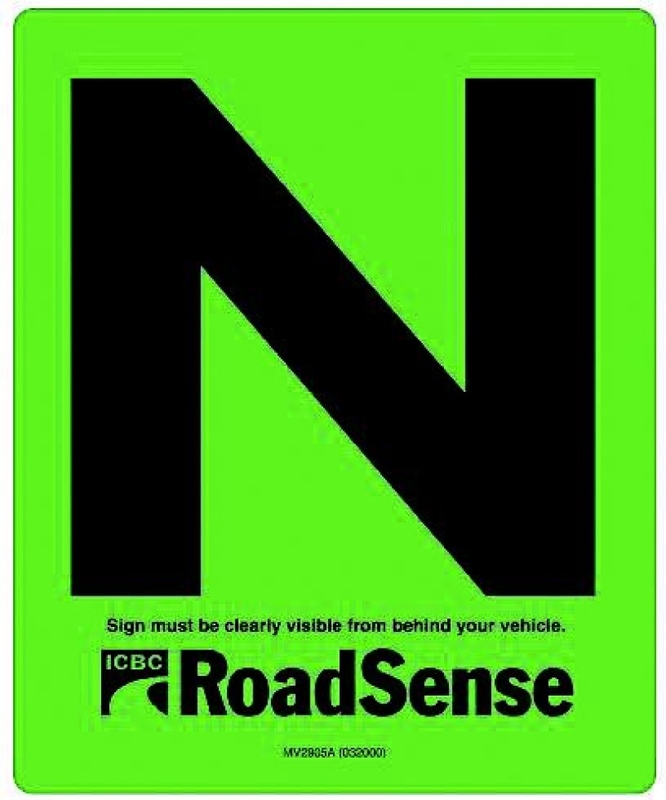 Novice drivers are also subject to stricter sanctions in RoadSafetyBC’s Driver Improvement Program. The chances of being prohibited from driving for a period of time if you receive a traffic ticket occur much sooner than they would for a full privilege driver. Novices are allowed to drive outside of the province of BC as long as they follow the restrictions on their licence just as they would have to here in BC. Penalties for failing to do so are set by the province or state that the novice is driving in. So, instead of worrying about the driver who has chosen not to test for their full privilege licence and remain a novice, perhaps we should admire them. They’ve decided to subject themselves to tighter sanctions than the rest of us when they drive. That is, until they face a driving prohibition after receiving a traffic ticket. Now there is incentive to test for full privilege licence and escape the sanctions of the Driver Improvement Program.